Kapalua Maui: Another Luxurious Piece of Paradise! If I were going to treat myself to the ultimate in luxury for a Maui Hi vacation, then the exclusive Kapalua Maui Resort would fit the bill! This ruggedly beautiful vacation spot on the West Maui coastline is filled with everything the discerning vacationer seeks: a posh 5-star resort, world class beaches, fine dining, and rugged beauty everywhere you look! 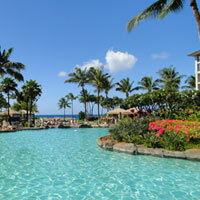 How about a stay at the AAA, 5 diamond rated Ritz Carlton Kapalua Maui? Or, if you REALLY want to spoil yourself, you could rent a luxury villa for your stay! Other options for accommodations include the Kapalua Villas, as well as various luxury homes for rent. All I can say is, Kapalua Maui offers endless ways to pamper yourself. Within the resort, you can dine at Merriman's, the ever-popular Pineapple Grill, the Plantation House, the Sensei Seafood Restaurant, or at one of the restaurants of the Ritz Carlton. If you're looking to save a few bucks, the Honolua Store is a local bargain. They have a small grocery area, plus a cafeteria-like spot where you can order a range of hot or cold ready-to-eat food. A fabulous nearby spot for a delicious, filling breakfast is Napili's ocean-front Gazebo Restaurant - they serve enormous portions with very reasonable prices! You'll notice some trees in Kapalua that you probably wouldn't typically associate with the Maui landscape: Cook Pines. Back in the early 1900's these towering tress were planted throughout the Kapalua area. In Canada, where I'm from, pine trees are commonplace - I never in a million years expected to find them in a tropical paradise like Maui! I'm happy to report that beach lovers will also find much to be happy about! 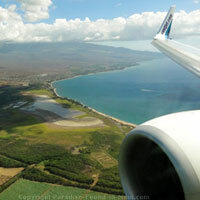 Most of the coastal areas of Kapalua offer splendid views of the neighbouring islands of Molokai and Lanai. Honolua Bay is said to have great snorkeling in the summer, especially on the right side of the beach - because this area is part of a Marine Life Conservation District, there is a large array of corral reefs and legions of marine life. 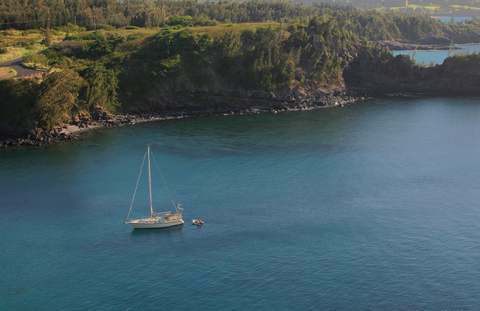 Another Marine Life Conservation District in Kapalua Maui is Mokule'ia Bay. 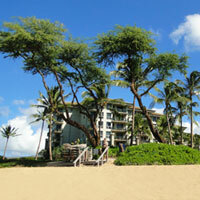 D. T. Fleming Beach is located in front of the exclusive Ritz Carlton Kapalua. This high-end resort features endless amenities and luxuries, so if you plan on staying here, you'd better bring a big wallet! Another option for avid beachgoers is in neaby Napili: Napili Bay is absolutely gorgeous, and would make a fabulous stop after a filling breakfast at the Gazebo Restaurant! Golf aficionados will love the pair of world-class 18 hole Kapalua golf courses: "The Bay", and "The Plantation." A great environmental initiative that has taken place in Kapalua is the establishment of the Pu'u Kukui Preserve. This protected sanctuary is located at the higher elevations of Kapalua Maui, and is the largest privately owned preserve in Hawaii. When you're in the mood to explore, Kapalua offers no shortage of things to do! There is tennis, walkways, shopping, galleries, restaurants, and even a fitness center. If you'd like more of an adventure, there is a zipline tour, a climbing tower with a giant swing, tours of the pineapple plantation, and of course, ocean activities such as snorkeling and diving. Hiking in the area is always fun, and budget friendly too! 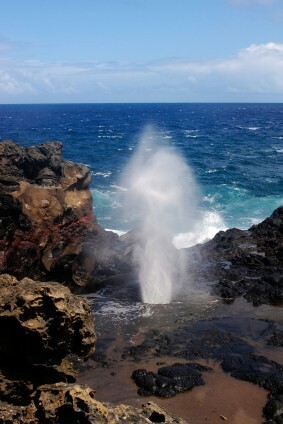 One of our fave hikes in the area is the trek to the Nakalele Blowhole! It's only a 15-20 minute drive away, and the views are spectacular!